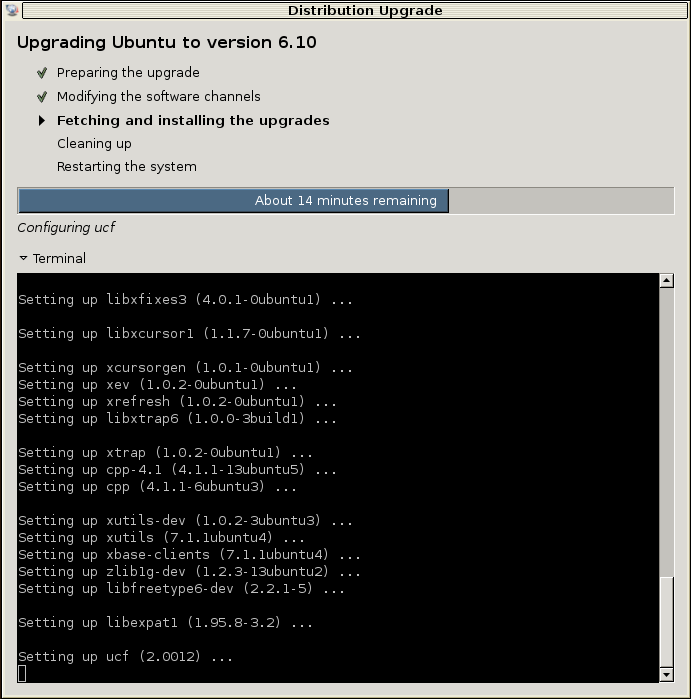 Ubuntu 6.10 is the current development version of the Ubuntu operating system. It is to be released in October 26th.The common name given to this release from the time of its early development was "Edgy Eft". Today I have upgraded my Ubuntu Dapper Machine to Ubuntu Edgy this is still is beta version. Thanks for the explanation, I made the apt install…, Only one thing at the end of the tutorial you put: sudo dpkg –configure -a, And I think it is: sudo dpkg –-configure -a. This guide worked for me except for one thing: I had to manually remove xserver-xorg-core and then install it again with the following command.For some reason this was held back during the command ‘sudo apt-get dist-upgrade’ earlier. This cause my xserver to bomb saying it could not find GLCore and “fixed” font. 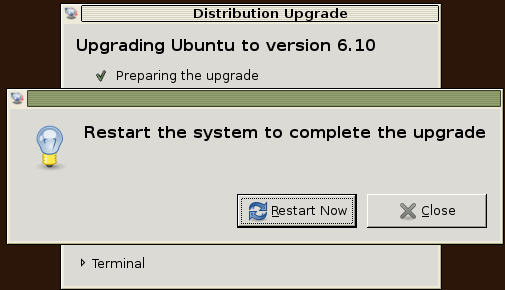 i had upgrade ubuntu from drapper to edgy on ibm thinkpad r50e. Awesome! Thank you so very much for telling me how to do this! 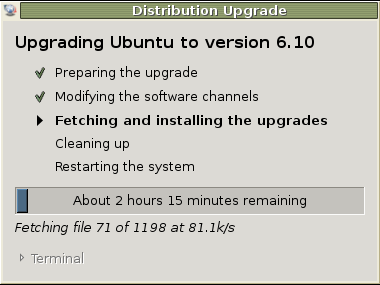 I was about to cry because I didnt want to install the WHOLE ubuntu iso! African – I got the same error using the GUI, use the non GUI method. I also want to upgrade. from 6.06 to 6.10 . 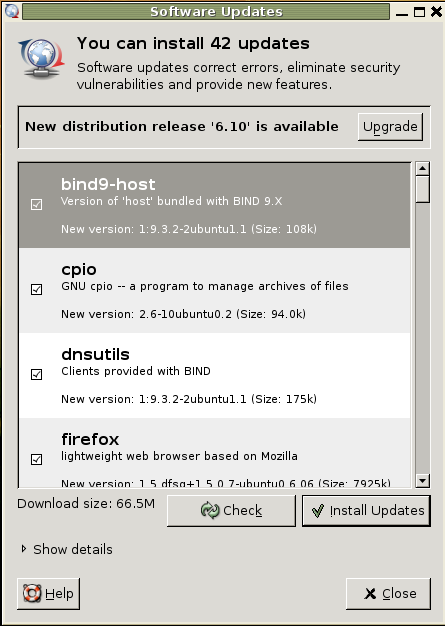 New distribution release ‘6.10’ is available. 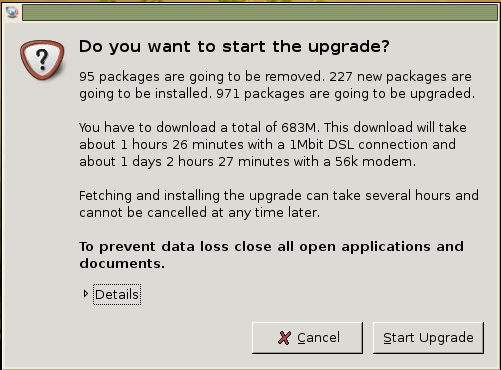 So I have no possibility to upgrade. 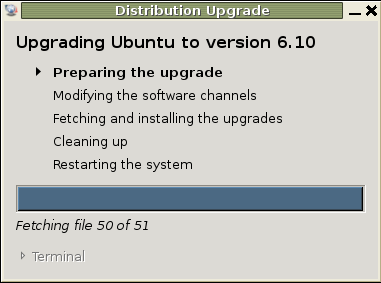 Hi I need to upgrade an old pc from ubuntu 6-06, how can I do that ? is there a clean way to do it ?